When it comes to brow products, I’ve tried crayons, pencils, gels and waxes, but I still haven’t found one I totally love. 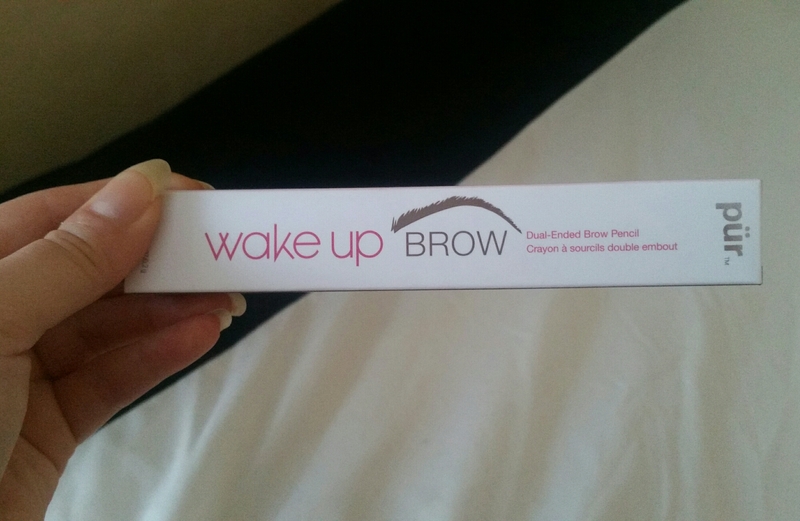 I decided to try two products I’ve never tried before, starting with Pur Minerals Wake Up Brow. 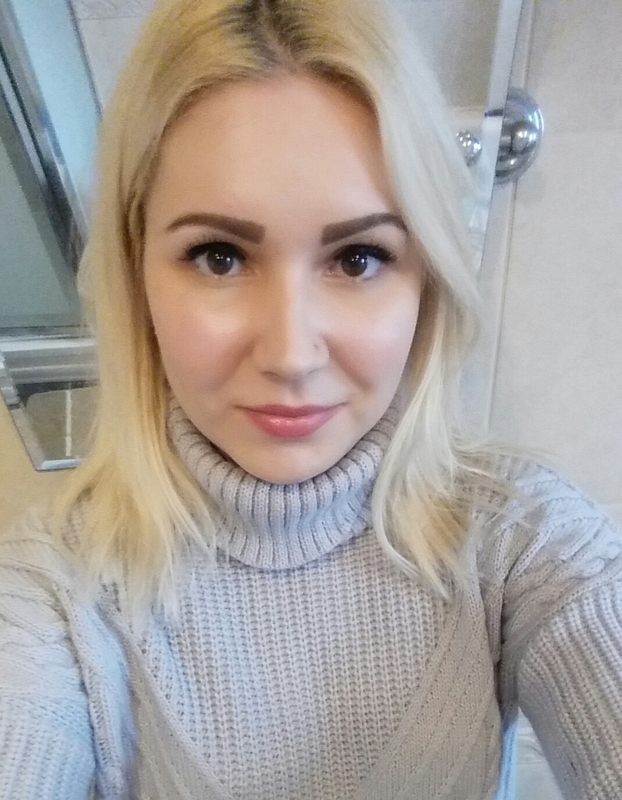 I love Pur’s powder foundation, so I had high hopes for this 3-in-1 brow product. It has a brow crayon one end, a creamy highlighter the other and a spoolie attached. I bought the shade Latte, which is a medium brown. Colour wise, this is the best brow product I’ve used as it suits me wonderfully, but sadly that’s the only thing that’s good. 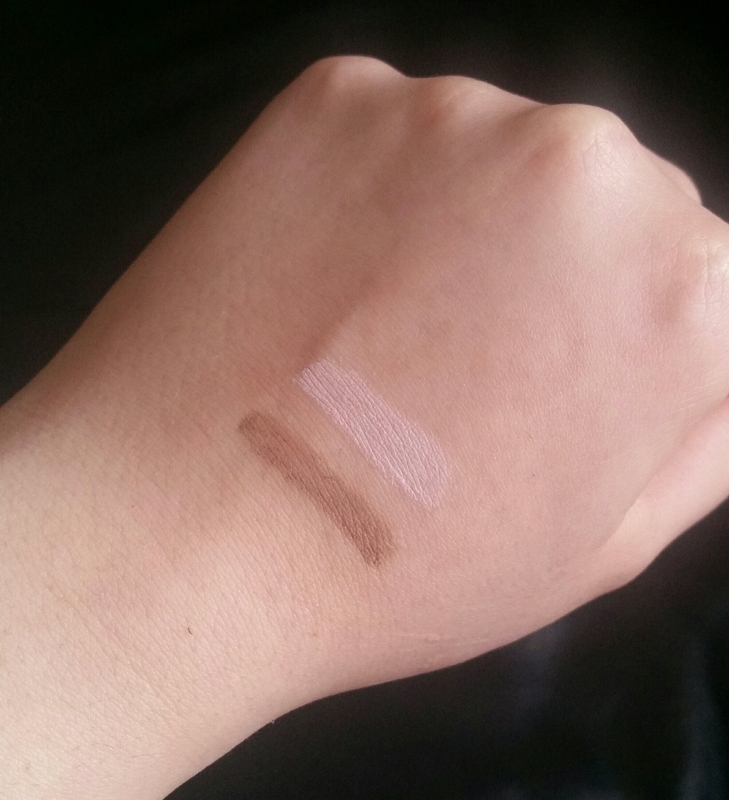 Below are swatches of the brow crayon and highlighter. The crayon isn’t firm or pointed enough, so it’s impossible to draw in fine, natural looking hairs. It also has no lasting power at all! If I caught my brows, they would completely rub off and they looked patchy as the day wore on, so I’m hugely disappointed with the coloured brow crayon. The creamy highlighter the other end of this product and the spoolie fared much better. The highlighter is great for using on the waterline for brighter eyes, or to use underneath the brows. However, as much as I liked the highlighter and spoolie, I wont be repurchasing this product. Below is a photo of me wearing the brow crayon. I’ve tried brow gels in the past and never loved them, but I decided to buy this L’Oreal one and give them one more chance. The colour I bought is a light-medium brown shade, and it contains fibres that’s meant to increase the volume of the eyebrows. 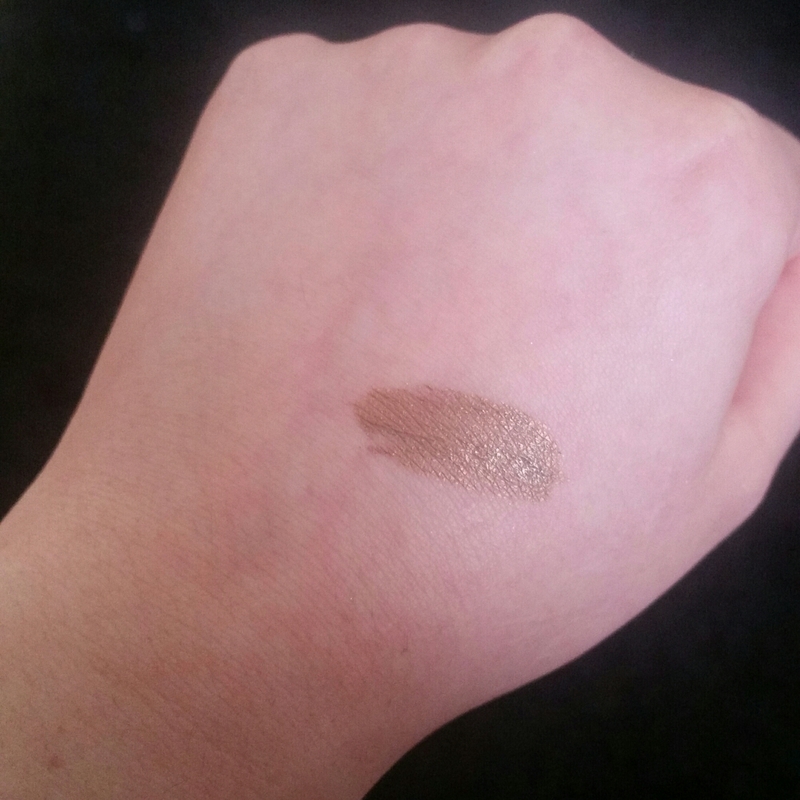 Below is a swatch of the eyebrow gel. 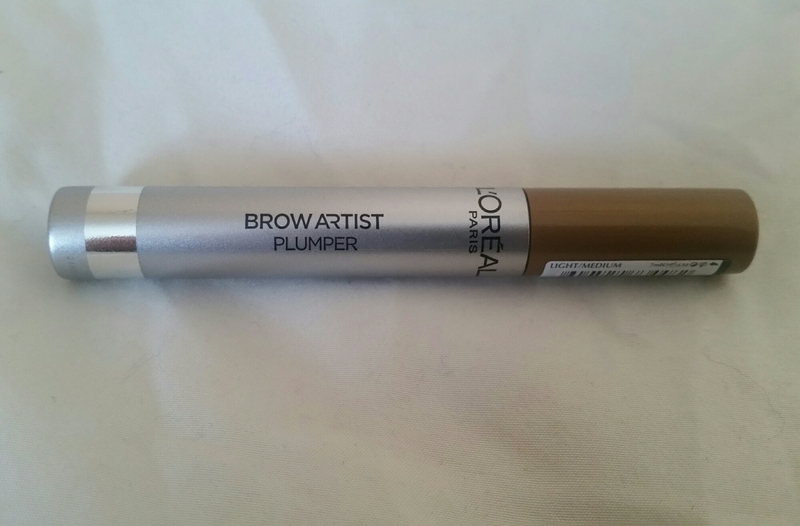 I first used this product on bare brows and it looked patchy, uneven, and did nothing to plump or fill my brows. I tried this gel again over an eyebrow pencil, but it made my brows look and feel clumpy and stiff. The colour also looked unnatural, so I’ve stopped using this gel. Both of these brow products have been disappointing for me, with Pur’s faring better than L’Oreal, however, I wont be repurchasing either. Let me know if you’ve tried any Pur or L’Oreal brow products. Love that the color looks so natural and it's not overly pigmented to make it look fake.